In order to up her game after the events of the Battle of Burnside, Babs travels to Japan on a quest to train with one of her all time heroes. 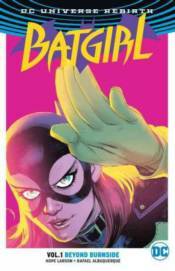 But when a chance meeting with an old friend puts a target on her back, Batgirl may need to use her new skills (and rack up a few more stamps in her passport) to solve a deadly mystery. Collects BATGIRL #1-6.